This delicious complete recipe is made with tasty freshly prepared chicken, turkey and pork together with carrots and peas. Also added in selection of botanic herbs and all the essential vitamins and minerals your dog needs for a healthy diet. 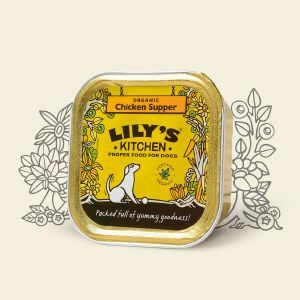 This nutritious wet food is certified organic and has no artificial ingredients or preservatives, which makes it especially good for dogs with sensitivities.